The Zone is a hub for safety related discussion and debate around safety management within the farming sector. What constitutes good safety management presents challenges for every farm and estate owner, director or trustee. Through a series of seminars over the two days, we will demonstrate what a safe working environment would look like and how this can be practically achieved. Our experienced consultants will also be available on stand number 761 in hall 7, to talk to you about the safety of your staff within your business. We look forward to meeting you and welcoming your contributions to the debate. CoSHH remains challenging for any estate or farm operation to keep on top of. How do you strike a balance between maintaining a practical, usable system without creating excessive documentation? 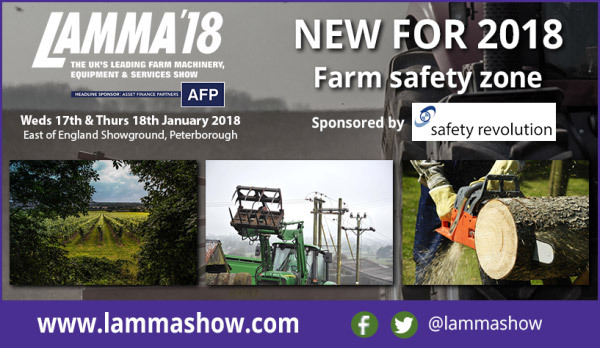 Safety Revolution can demonstrate our practical and usable system for organising your CoSHH, easily and quickly to you in the Farm Safety Zone. Following the Grenfell tragedy, questions are rightly being asked about whether the fire regulations – in force since 2005 – have been properly implemented and policed. The answer is likely to be no. And therefore we can expect some potentially radical changes. From an agricultural safety management perspective the type of Composite panels used at Grenfell are in the roofs of many agricultural buildings, whether those buildings are in use for farming purposes or let to third parties. Safety Revolution expect that the use and management of these assets will be closely scrutinised going forward. Our consultants have looked at the likely changes to systems and procedures and are currently advising our clients on how best to position themselves to deal with any such changes.